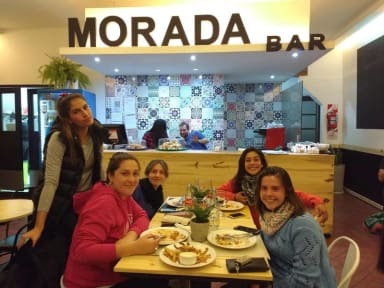 Morada Hostel, Kordoba, Argentyna : Rezerwuj teraz! 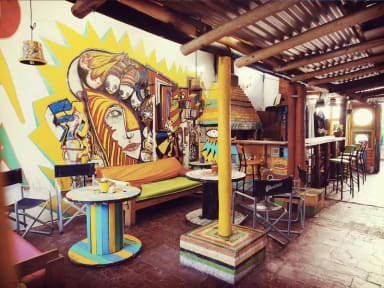 The hostel is located in the city center a few blocks from the main square and the tourist attractions, surrounded by restaurants, bars and nightclubs, with a great access to the principal roads and transportation to the tourist places in the province. Our hostel has so much to offer todays traveller like you, including quality accommodation with breakfast, towels, bedding provided, fully equipped kitchen, tv with cable, WiFi in the rooms and internet free of charge and all the security that you need two doors that can be opened only from inside, lockers, luggege store and 24 hour reception whit a cool staff will help you with any questions you have. We have bedrooms for six to eight people and different types of private rooms (single, double, triple, quadruple and quintuple) with private or shared bathrooms. Also we have a terrace with barbecue where always is a good party, you can meet other guests and have a lot of fun. We do not want you to feel at home, we want you to feel better!